TechHR Conference is Asia’s largest dedicated HR technology event. The much sought-after conference is focused on providing expert insights, information and exposure to Business leaders, CHROs, strategic advisors and senior HR professionals. 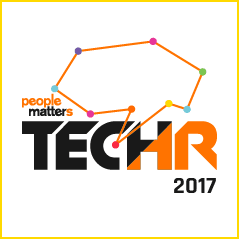 In its fourth year, TechHR 2017 brings to core the trends, information, revelations, and solutions in the space of technology specifically for Human Resources. 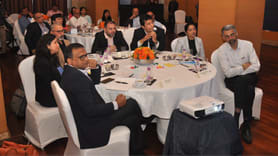 Catering to an array of attendees from diverse backgrounds, the conference aims to bring forth experts views and sessions by the industry bigwigs to spark the thought on digitization, to go beyond the traditional norms, share their best practices to leverage technology, and change the way HR Technology functions. Optimizing Platform: As technology evolves rapidly, businesses seek alternative ways to approach human capital more strategically with a clear aim to achieve a superior business performance and maximized potential. This theme will include sessions across business transformational journey to digital, Tech trends, futuristic outlook, and forward-looking thought leadership. Impact and Change: In the era where digitization and automation are adamant to kill the monotony of traditional processes, it is pertinent to be able to assess and measure the impact and change of technology. This theme will have sessions focused on solving business challenges and executing successful transformation, improving functional effectiveness of recruitment, performance, learning, leadership, talent management, workforce administration and engagement. Organizations Strategy: The measurement of success in devising a strategy to putting it into action often boils down to how well an organization can move the cultural norms of how work gets done. Having apt change management tools is as imperative as implementation of a new strategic initiative. This theme revolves around unique sessions ranging from building capabilities for organization's transformation, frameworks, and leadership to make it successful. Also covering a wide range of topics on creating multiple partnerships with C-Suite, Board and External Product and Service experts for successful company-wide transformation and finally, Designing, Conceptualizing and Creating the Blueprint for successful organizational transformation that supports business results. Capability building: Enhancing skills and knowledge of an individual to achieve greater organizational purpose can be a mammoth task. This theme will have all Senior Leaders, HRBP, HR Specialists seeking a practical, interactive and tech-driven approach to the sessions. Value-add in terms of Expert-hosted master classes will give you a chance to pick up career skills relevant for today's business environment and dive into new disciplines. Founder & Chairman, Quintillion Media Pvt. Ltd.
Senior VP- Digital Transformation, Mahindra & Mahindra Ltd.